Berlin is the capital city in Germany. It is not only the second most populated city in the European Union, but also the greenest city in Germany. Berlin is one of the trendiest cities in Europe: from urban beaches to beer gardens, to world-class museums. 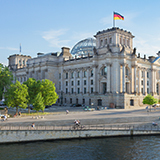 Touristic attractions of this beautiful city includes Reichstag, Museumsinsel and Brandenburg Gate. Cheap flights to Berlin are now available for a limited period of time, so book your tickets to this breathe-taking city today. Berlin is home to Berlin Tegel (Otto Lilienthal) Airport (TXL), which is a 10-minute drive to the city centre of Berlin. 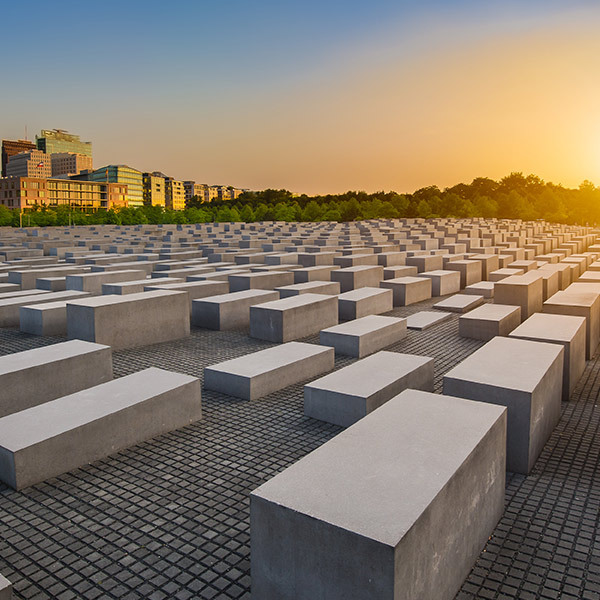 The Holocaust Memorial is an incredible monument in remembrance of the Jewish victims that were killed during the Holocaust, this hair-raising atmospheric experience is definitely worth the visit. 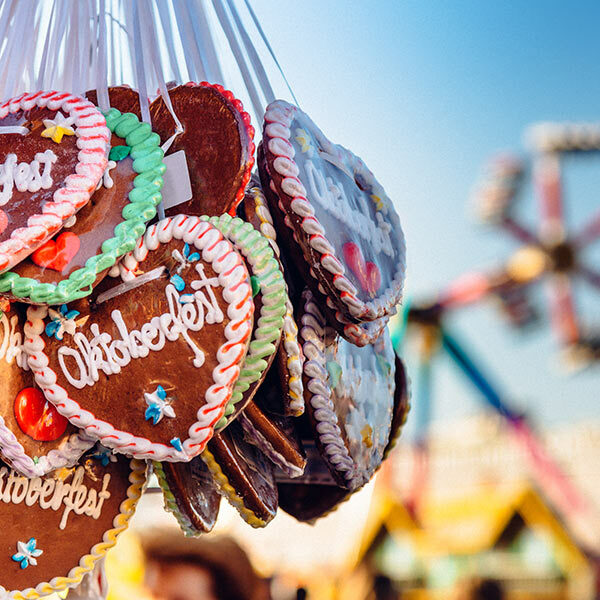 Whether you are craving a traditional pretzel, authentic Turkish fare, or sushi, Berlin is guaranteed to deliver, whilst not forgetting its delectable street food that have everyone wanting more. 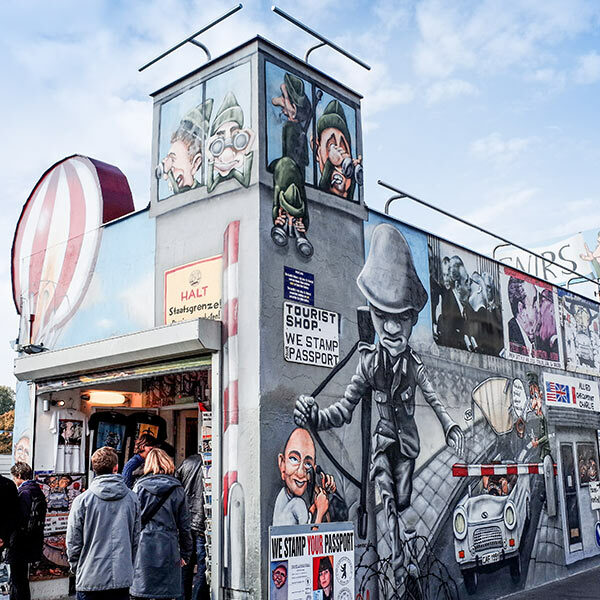 A visit to the East Side Gallery is truly an unforgettable experience, featuring remnants of the Berlin Wall, painted and turned into an urban art installation. Winters in Berlin are harsh, with temperatures regularly hitting -10 degrees Celsius . Average temperatures in spring, summer, and autumn are much kinder, with the city bursting to life in the summer weather. The best time to visit Berlin would be anytime between May and September as these months fall over the warmer seasons where visitors can enjoy visiting the many side walk cafes and parks, or a simple-yet beautiful stroll through the city. Travelling to Berlin between January and April will save you a lot of money as these are considered the "bone-chilling periods" of Berlin where not much is going on due to the icy cold temperatures, but it is still beautiful enough to enjoy. Berlin is a city with an unpretentious charm, offering travellers a perfect blend of modern style and appeal, whilst still portraying its impeccable history. This is a city that never sleeps, with its incredible nightlife as seen in places like Berghain - which is one of the world’s legendary nightclubs. Kreuzbe is also a must-see, this formerly gritty neighbourhood has some of the trendiest bars the world has ever seen. 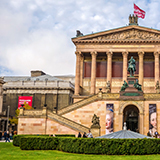 The historic centre of Berlin has multiple points of interest, from the Reichstag to the Museumsinsel (Museum Island), and the Brandenburg Gate. There is and definitely will never be a shortage of exciting things to do when visiting Berlin. It is an enticing city that should be on everyone’s bucket list. 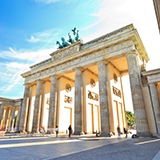 Compare several airlines, and book your cheap flights to Berlin online at Travelstart! Berlin is a tolerant city sometimes known as the "Atheist Capital of Europe". That being said, Christians, Muslims, and Jews all have communities in the city. In fact, Berlin has one of the fastest-growing Jewish communities in the world. In Germany, as in some other European countries, publicly denying the events of the Holocaust is illegal. Berlin is a heady destination where not only will you never run out of entertainment, but there will never be a shortage of amazing spots to pick and choose from. There are various hotels to stay in whilst visiting this German capital city. Some of the best places to stay are in the eighteenth-century suburb Spandauer Vorstadt. This is a suburb that most locals consider to be the most obvious area to stay in Berlin for its good selection of hostels, hotels and city-centre attractions. If you plan on staying a little longer than a few days and prefer a quieter, less touristy neighbourhood, then Prenzlauer Berg is a place designed just for you. Lastly, no visit to a new city (especially Berlin) would be complete if you do not get the opportunity to experience the local culture, which is why Kreuzberg makes this list - as it is one of Berlin’s most colourful districts. The best and cheapest way of getting around Berlin would be with their efficient public transport system. The public transportation system includes train rail, buses and underground subways. Alternatively there are taxi’s that can be found or called throughout the city which visitors can make use of. The car hire dealerships that are located at the airport include; Avis, Budget, Enterprise, Europcar, Hertz, National, Sixt and Thrifty.